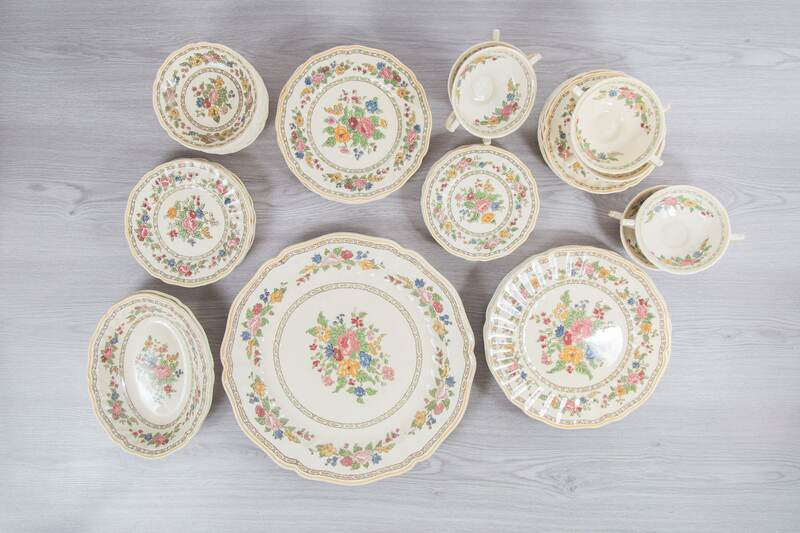 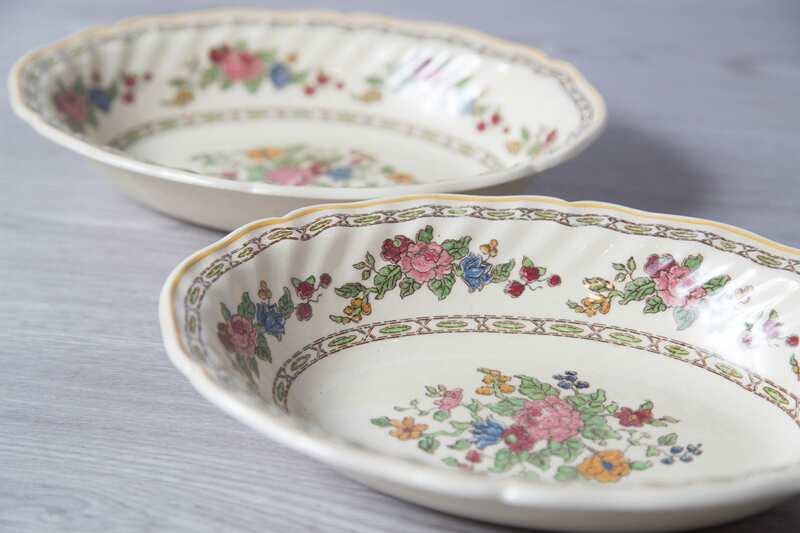 This is a pair of antique 1940's Royal Doulton oval vegetable bowls with "The Cavendish" pattern. 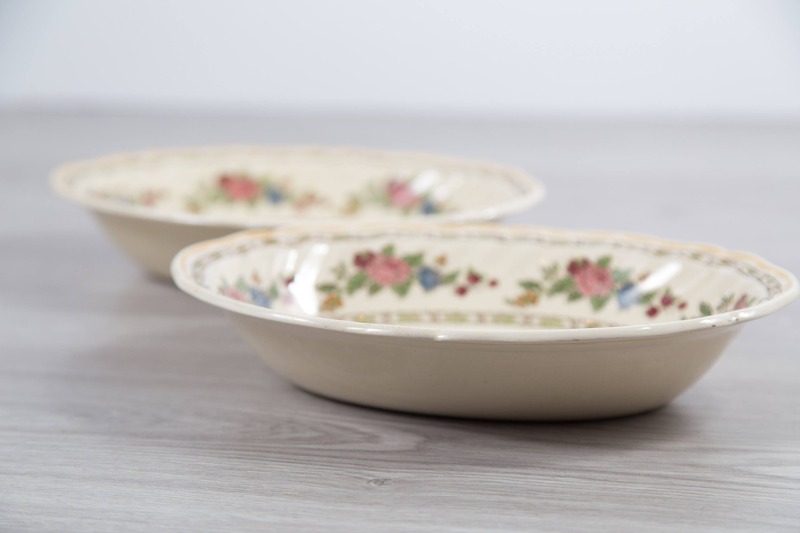 Bowls feature a floral pattern on an off white glaze. 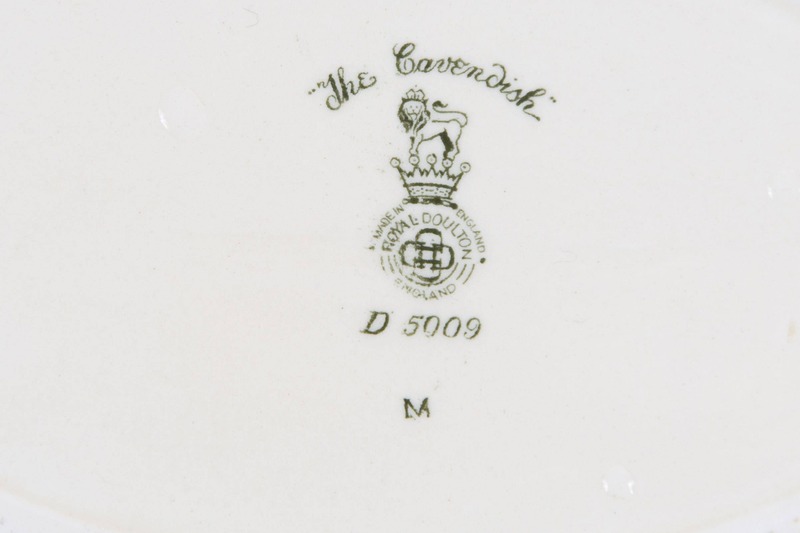 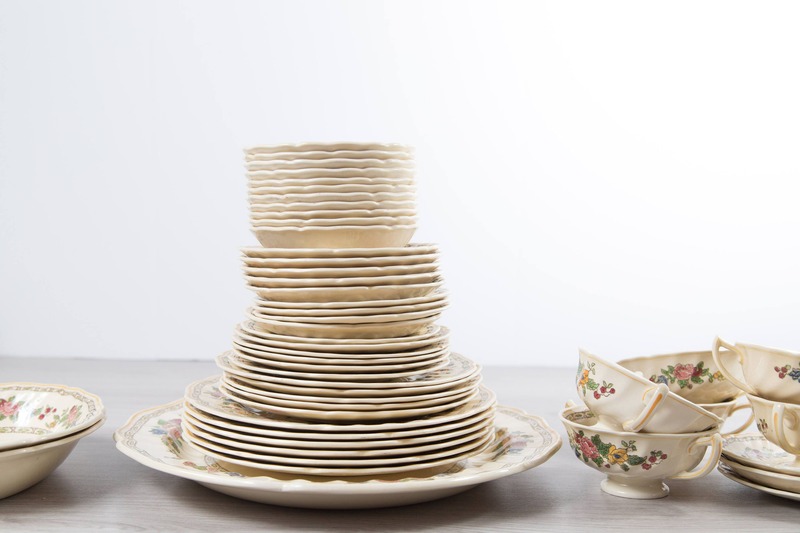 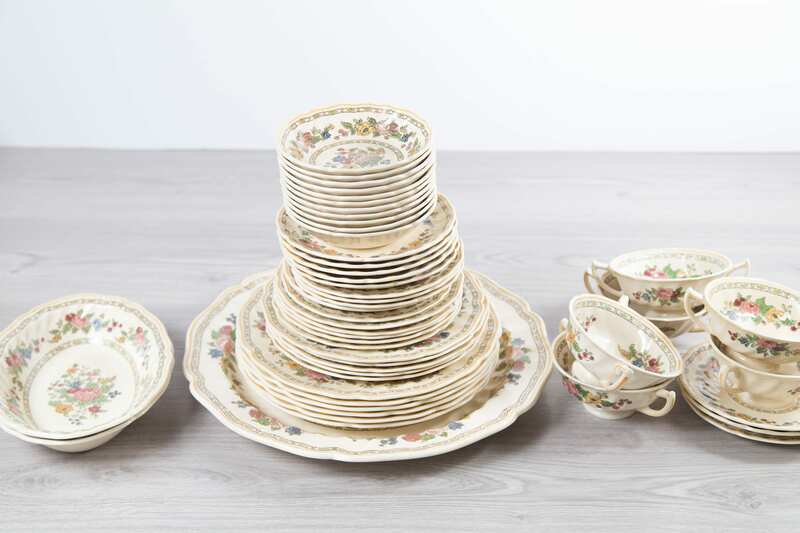 Marked, "The Cavendish - Made in England - Royal Doulton". 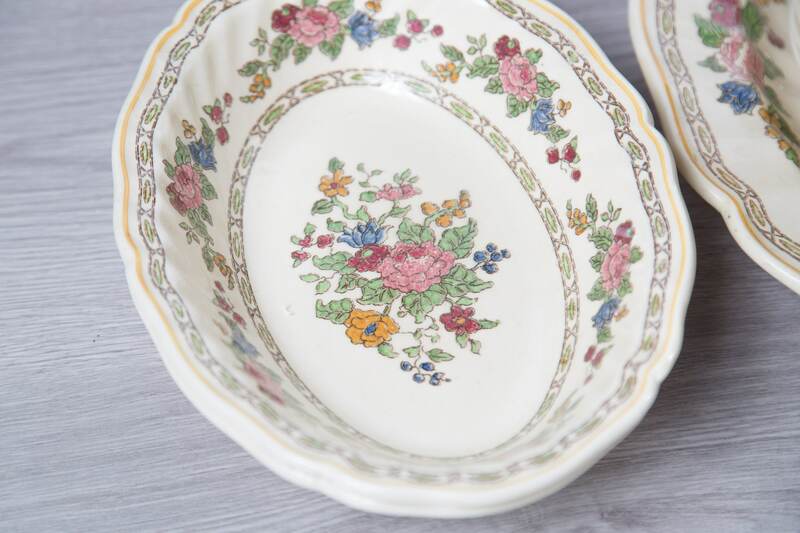 Other pieces in last three photos sold separately. 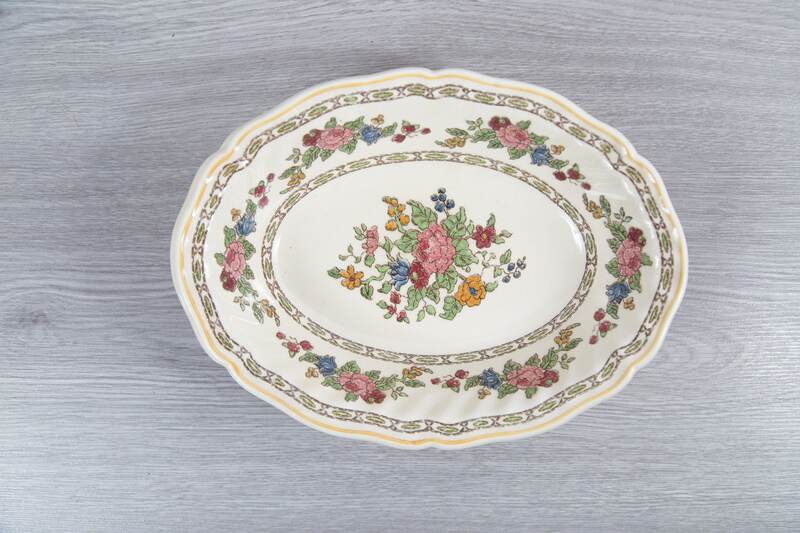 9.5 x 7.27 inches diameter.